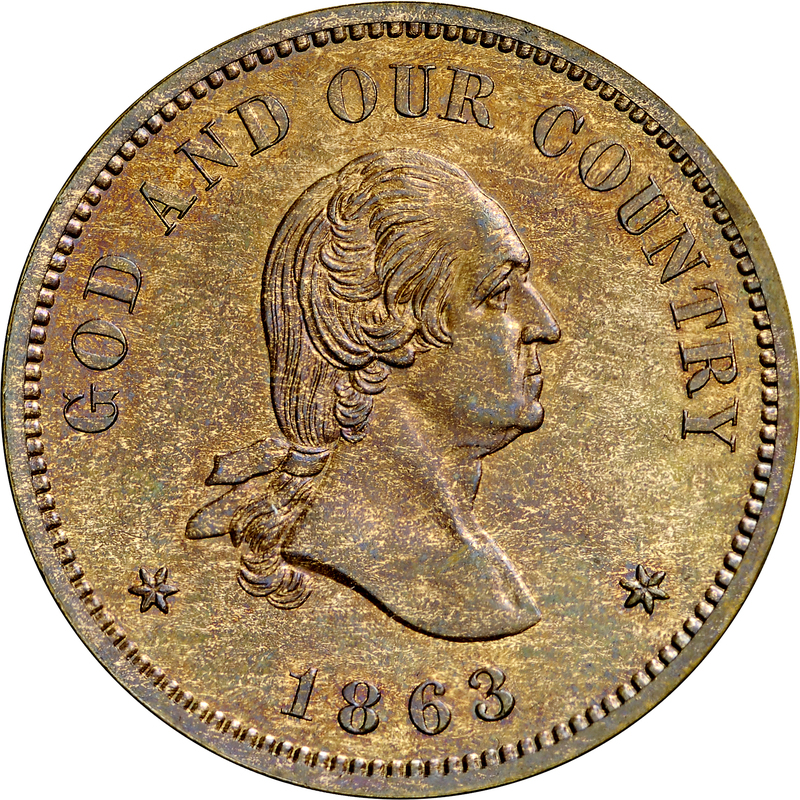 Mint Director James Pollock, in a December 8, 1863 letter to Treasury Secretary Salmon P. Chase, proposed coinage of a two-cent piece that would be “a great public convenience.” Pollock was so much in favor of this denomination that he had patterns made up to be enclosed in the letter, with other examples struck for presentation to Congress. He further noted: “I will, if you direct it, prepare a supplement to the existing laws, to be by you submitted to Congress for their action.” Pollock noted a preference for the shield and arrows design. Purchased from Julian Leidman, July 28, 1972. Bust of George Washington to right, GOD AND OUR COUNTRY arcs above, 1863 below. UNITED STATES OF AMERICA around periphery, wreath within legend, 2 CENTS on two lines within wreath. 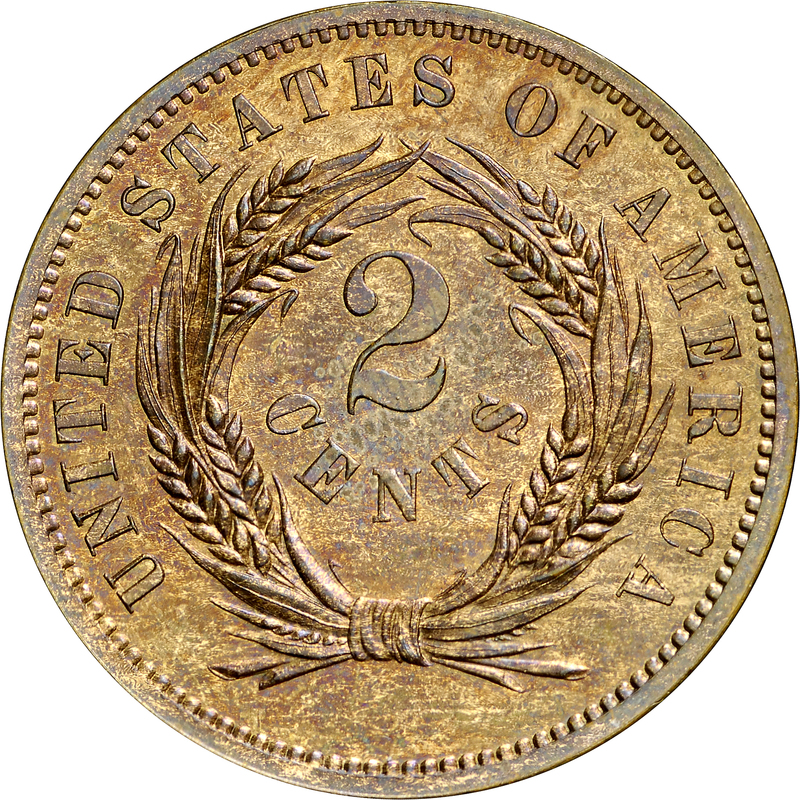 CENTS is in a sharply curved arrangement.